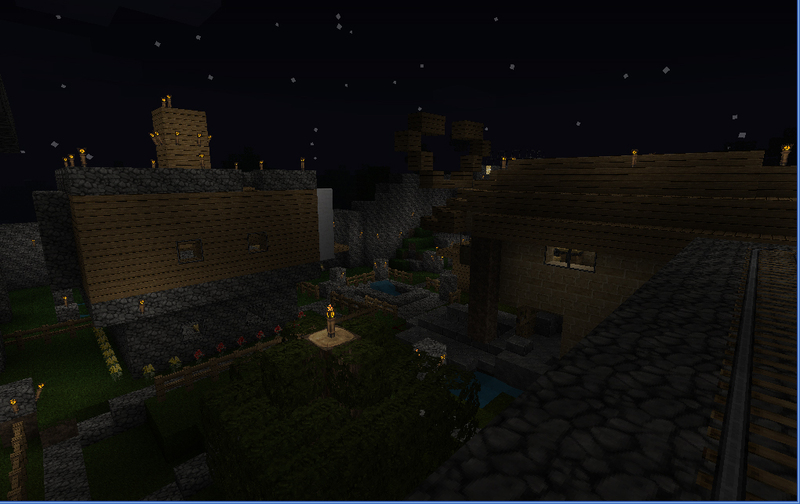 Just thought I’d post some images of our town in Minecraft. 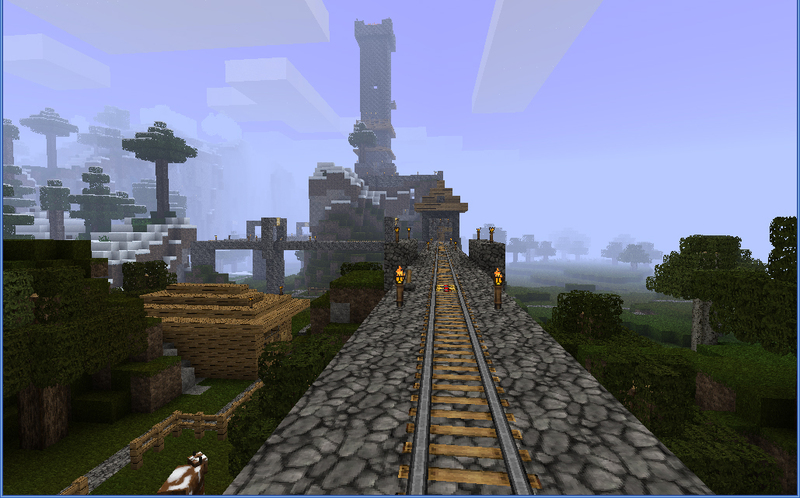 Here is a shot of the center of town from the new Tram station we put in. 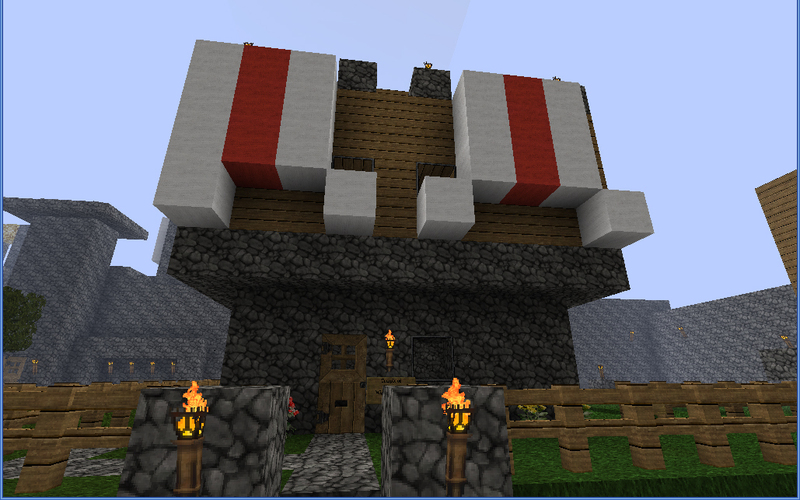 The red and white banners hanging off the tower is mine. You can see Chris’ house in the foreground, followed by Kurt’s house with the strange floating shape and then a giant tower behind it stretching over the clouds. This beautiful shot is the awesome Temple of Slaanesh 😉 This was my home. The white and red splats are my attempt at creating banners with blocks. This is a shot taken from the tram. 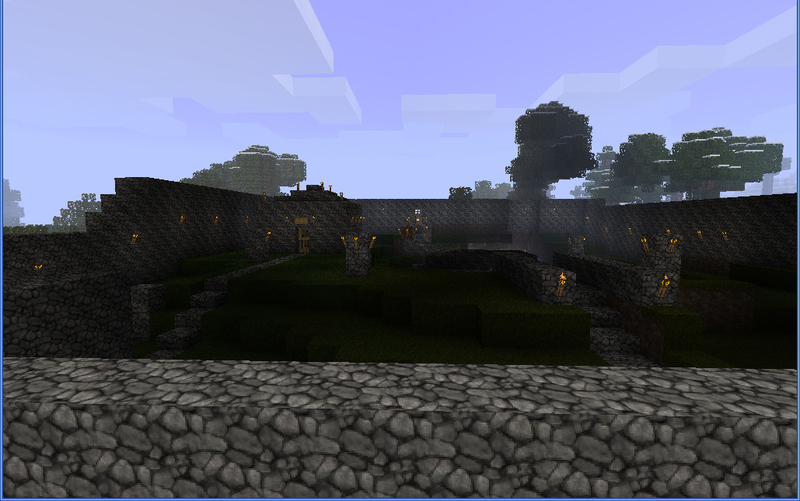 It is our storage area / farming area. It also contains the portal to Hell. 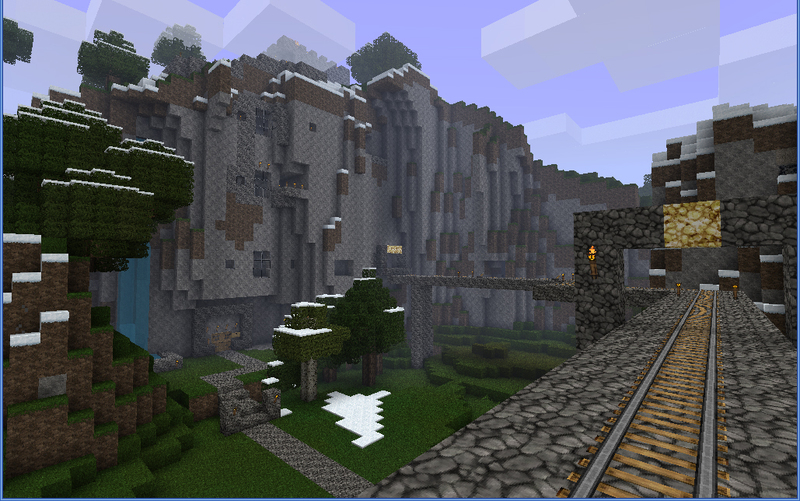 This image is taken from the sky tram track leading out of the north gate. The tower in the picture stretches to the top of the world and is lit by hellfire at its peak. It was kind of inspired by a monastery. 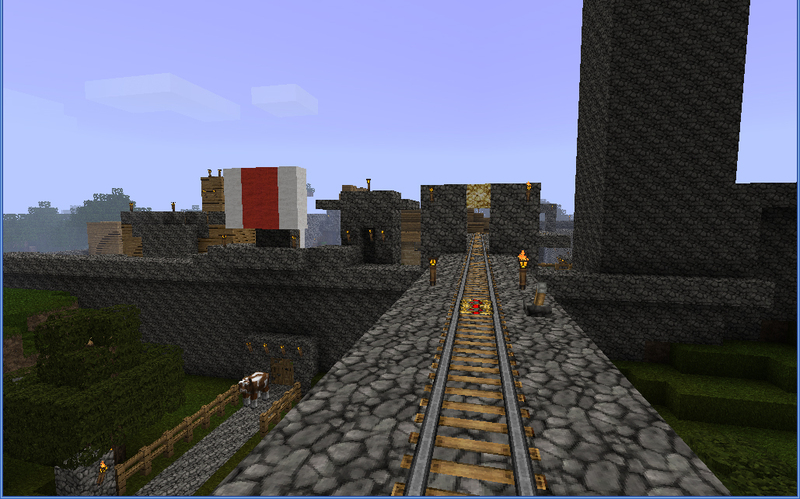 The above is a shot of the north gate from the Tram. The current termination point of the Tram at the third station. The mountain fortress was carved out and plans are to cut the tunnel through the mountain to the otherside and keep expanding it west. The newest addition to the town as of a few days ago. The entrance to the tram station is here, where you climb up some stairs to get to the landing. Here’s a shot of the town at night as seen from the tram track looking down from the north gate. 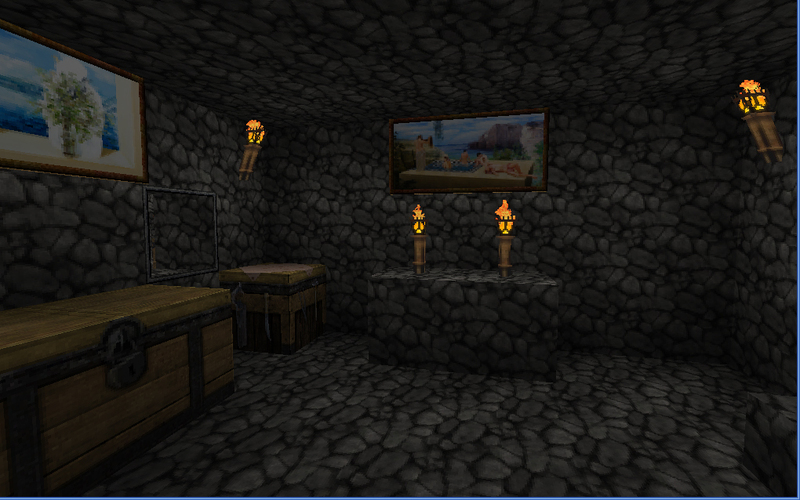 The interior of my place, floor-level. To the right there is a trap door leading to our tunnel network. There is a stair case to the right as well leading up. 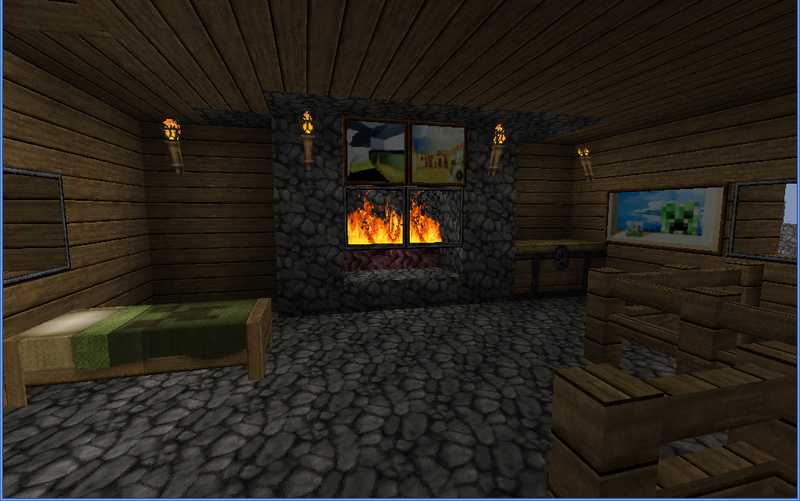 And finally the place where virtual-me crashes… my second story contains my furnace and fridge as well as the comfy fireplace that was designed by Chris and that I borrowed after a trip to hell to get the netherrack rock (which is what is burning within). 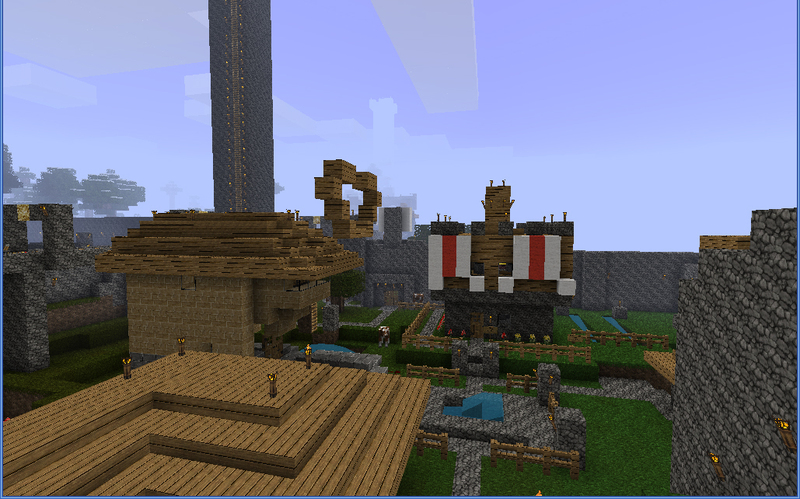 Not much has changed with my house since the beginning of the server, though I added more paintings recently. I tried adding carpet but the wool blocks were seen downstairs as well since my floor is only one block thick, so I nixed that idea. 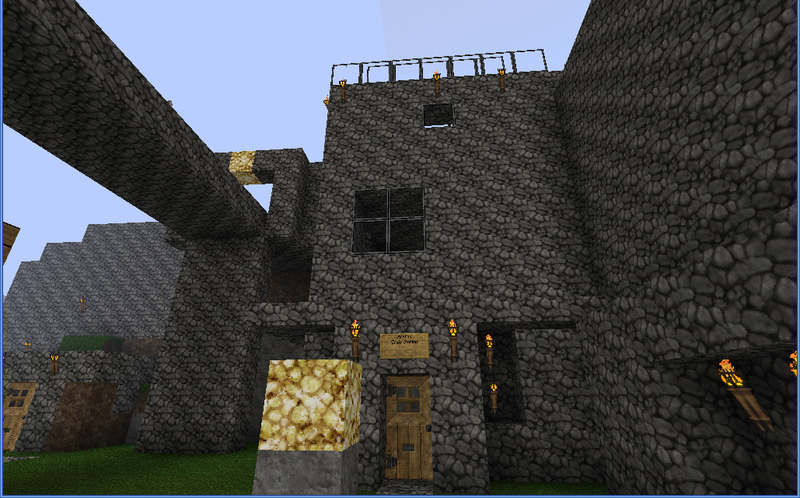 And there you have the town in Minecraft.